L I V I A: PROTECT YOUR FACE USING SUNSENSE DAILY FACE, INVISIBLE TINT FINISH SPF 50+ BEAUTY PRODUCT REVIEW ! PROTECT YOUR FACE USING SUNSENSE DAILY FACE, INVISIBLE TINT FINISH SPF 50+ BEAUTY PRODUCT REVIEW ! I hope you're all having a much needed break from the week...sleeping in till noon, having brunch with your girlfriends and even catching some needed Vitamin D! When it comes sun protection, it's the most important factor to take into consideration because we are exposed to high UVA and UVB sun rays daily and so we need that extra protection for our skin, otherwise this can lead to long-term effects such as skin cancer, premature-ageing, sunburns and wrinkles may surface earlier than usual. It's good that the sunscreen is also non-comedogenic which means that it will not block your pores and cause any breakouts. It's dermatologically tested and thank gosh there's no zinc-like smell to the sunscreen. There actually is no smell which is good because you don't want sunscreen to always leave a strong smell on your face. If you haven't noticed, the SPF protection is in its high 50+ UVA and UVB protection which means this bottle of beauty gives you extra protection from the sun for longer periods and can withstand the strong UV rays. (Winning!) Inside the contents of the sunscreen is "Nicotinamide and vitamin E" which means that it looks to improve your skin tone and its elasticity but ALSO looks to improve any appearances of age spots, fine lines, wrinkles by smoothing them out with gradual use of the sunscreen. The sunscreen is suitable for normal, combination and oily skin types which makes it super ideal for most people. If you love using a moisturiser during the day, then this will definitely be ideal for you if you tend to go outdoors or so. It's very moisturising but at the same time it looks to protect your skin from harmful rays. (Definitely my go-to-product every morning which I would wear under my make-up.) The fact that it's fragrance and lanolin-free makes it so super ideal to wear comfortably on a daily basis. Acne sufferers...please be re-assured that this type of sunscreen won't aggravate your acne further, instead it is suitable for those with acne prone skin as it's supposed to be ideal for combination and oily type of skin. I love how the lotion is quite light and not thick at all. It's an oil-free type of lotion which makes this such a wonderful type of sunscreen to use everyday and not worry too much about my face looking too oily or so. Be sure to shake the bottle well. You only require about a teaspoon (just one tsp) to really cover your entire face and also your neck. Apply the sunscreen to your face after cleansing your face really thorough. The sunscreen is usually applied before make-up is worn or in the mornings. Instructions say to apply 15 minutes before sun exposure. Since it's an invisible matte finish, the product can be worn alone or under make-up. Of course, using the sunscreen alone will not fully protect your face 110%, make sure you look to wear a hat, wear protective clothing and look to reapply frequently. When I blended in the cream onto my face, it really absorbed into my skin leaving a light feeling. 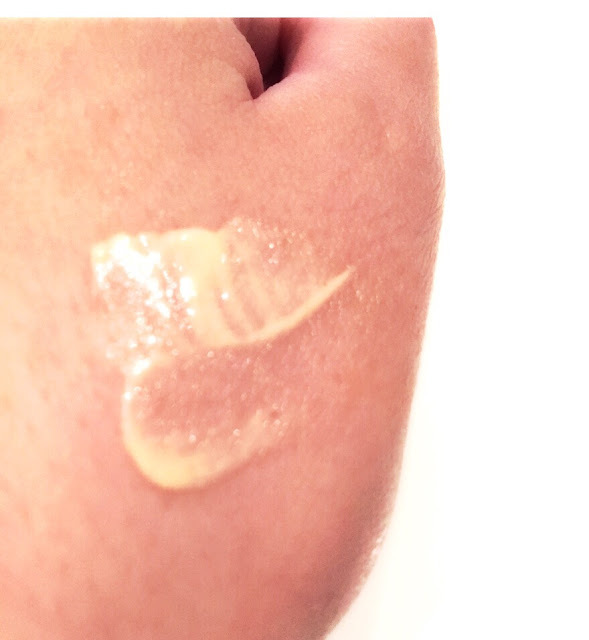 It was very comfortable to have on my skin, and so when I am out for longer periods, I'll be sure to re-apply more on since it's not waterproof. So be sure to use a waterproof type of sunscreen if you intend to go swimming at the beach. I would say this is more of a daily type of sunscreen and moisturiser which looks to protect your skin when you're doing sport, shopping, errands, and so much more! What about size? The product comes in TWO sizes which are definitely handy and depending on personal preference, at least you have an option here. It comes in a 75g sized flip top lid tube or alternatively a 200ml pump sized bottle which can also be convenient. I guess with the 75g flip top lid, it would be so perfect for your handbag as this is designed for travelling purposes. Just pop this into your handbag to ensure that you can look to re-apply the sunscreen when needed for the little extra added protection. As for the 200ml pump sized bottle, this will prove to be a convenient, mess-free type of bottle where you can put in your bathroom for easy access. I love the gold pump look as it makes the bottle look somewhat luxurious and attractive to look at. It also is quite hygienic to use when you use a pump so that was a plus for me as it prevents wastage. In terms of whether this product worked for my skin, I would say yes it did because it made my skin feel very moisturising and kept it matte looking. I am definitely happy and impressed with type of sunscreen because of the other brands I have tested out, there would usually be a strong smell or might be too thick for my liking. Sunsense really have stepped up their game by releasing into the beauty market of a simple invisible tint finish sunscreen which is so perfect for any season (Winter, Spring, Autumn and Summer). What's also great is that it's Australian made and owned! (From personal experience, Aussie owned and made products means quality!) From using the sunscreen on a daily basis, 9am-5pm - my face did not become irritated which was good and there was no redness at all. So I believe this type of product has ticked all of the boxes in a positive way where I can definitely look to repurchase this as my daily sunscreen. Overall, I have been very impressed with the Daily Face Invisible tint by Sunsense and I would be keen to try out more of their sunscreen range. A full 5/5 stars of which I am giving this product as it spoke excellent added protection for me. High SPF 50+ UV protection. Has a sheer tint for invisible matte finish. Free from lanolin and PABA. Cleanse face well before using on face. Use 15 minutes before sun exposure. Available at ALL pharmacies and Priceline store nationally. I hope you enjoyed reading all about of how important it is to protect your face daily. Using the right products for your face is essential in protecting yourself from skin cancer, premature-ageing, wrinkles. Thank you SUNSENSE for supporting me for this review. My reviews are based on my personal and true experiences. I only recommend products that I truly support.